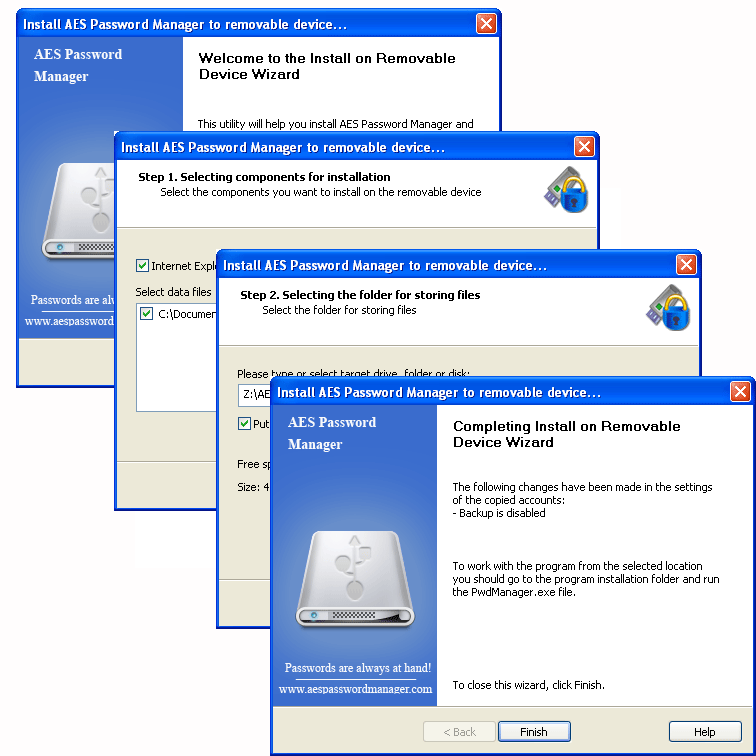 AES Password Manager version 3.0 is released. 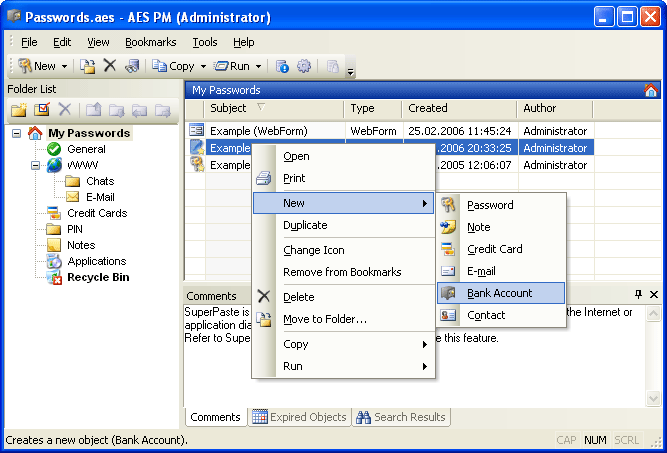 AES Password Manager protects sensitive information such as website passwords, credit card numbers, PIN-codes etc. by storing the items in a secure, password protected database. If you use AES Password Manager you no longer need to remember dozens of passwords. When accessing password-protected websites and e-mail accounts, the program automatically selects and enters the correct password from the database. This greatly simplifies your web-surfing experience without compromising your data security. The AES database is protected using AES-256 encryption which has been approved by the U.S. Department of Defense. You can be absolutely sure that your password database would never be compromised by intruders even given millennia of time. Not limited to storing passwords only. A selection of predefined templates and the ability to add user-defined fields makes AES Password Manager a perfect solution for storing any sensitive information, including any type of file. 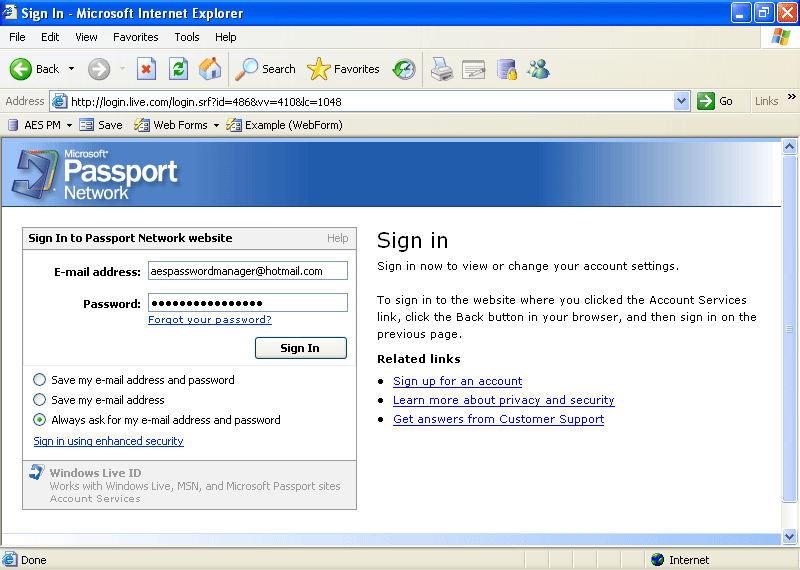 Easily save and fill in web forms using the Internet Explorer web-browser. Install to Removable Device Wizard. If you Install AES Password Manager and any password databases on a removable device, such as a flash drive, you can use it on any Windows PC! Complete any form in any application (such as a web-browser or accounting application) automatically. All Windows applications are supported. Whenever you need to create a new password, AES Password Manager can automatically generate one that is of high-quality. A high quality password is one that is impossible for others to guess. When locked, no one will be able to access your passwords or other sensitive information while you are away from your PC. If you like to fine tune applications to suit your exact needs, you will like AES Password Managers highly customizable user interface. IMPORTANT NOTICE.The AES Password Manager project was merged with other password management application, Aurora Password Manager. All future versions will be released under the Aurora Password Manager brand. All existing users of AES Password Manager can migrate to Aurora Password Manager free of charge. All future upgrades are free within a year after the purchase. If you use AES Password Manager v3.0, you do not need to upgrade to Aurora Password Manager immediately, as Aurora Password Manager and AES Password Manager v3.0 are essentially the same. Your registration code to AES Password Manager is not valid for Aurora Password Manager. Please contact us to replace the registration code.